When most people envision their dream home, they describe large kitchens, beautiful hardwood floors and clawfoot tubs. But not John Hay. In the mid-1980s, Hay – founder of the Celestial Seasonings Tea Company and great-great grandson of U.S. Secretary of State John Milton Hay – purchased the Beckham Creek Cave in Parthenon, Arkansas. 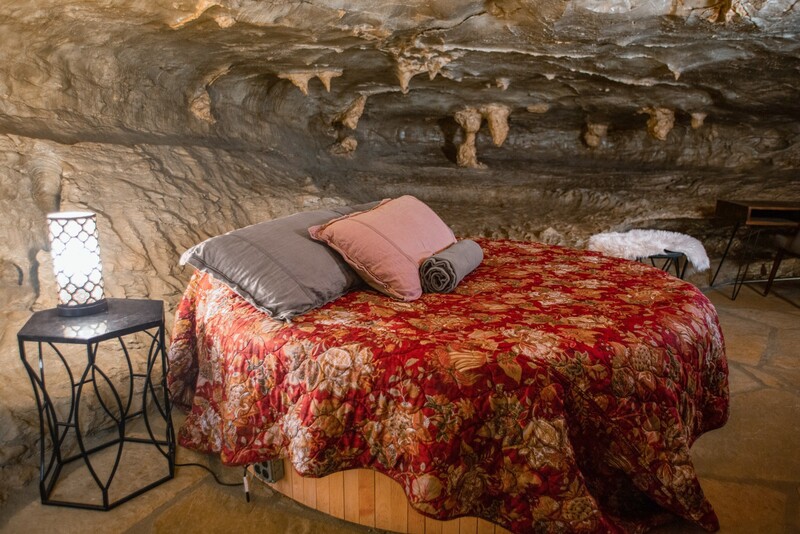 He had plans to transform it into a 10,000-square-foot bomb shelter, consisting of cinder-block walls, plywood flooring, 11 coats of clear epoxy on the natural formations of the cave, and an internal freshwater spring. He stocked it with enough freeze-dried food to keep 50 people fed for up to two years, and he twice had his religious group sit out bomb scares in the cave. By 1987, Hay realized the end of the world wasn’t coming quite so soon. Various records indicate the property was sold to a man known simply as “Mr. Richardson,” who had a different dream in mind when he came into possession of the property. Soon after turning the space into a $6 million clubbing venue, Mr. Richardson held a grand unveiling that welcomed over 250 esteemed guests, including Michael Jackson, Elizabeth Taylor, Diana Ross and many other Hollywood elite. 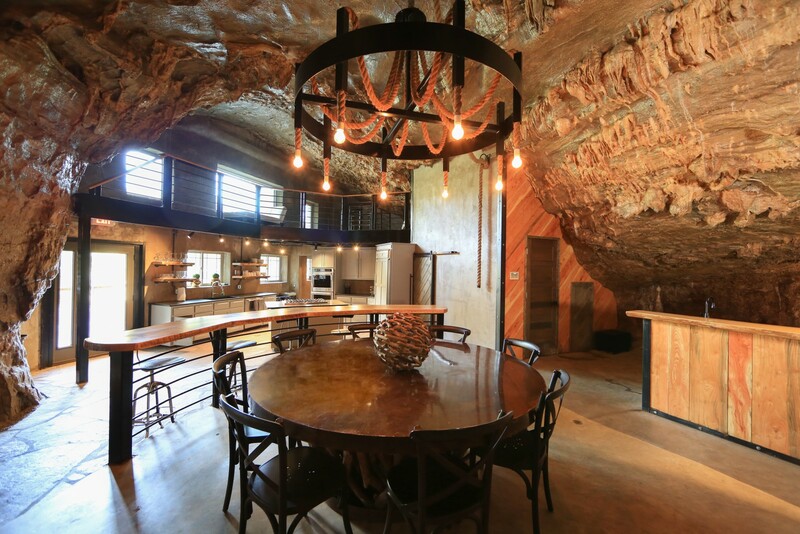 It’s no wonder that in 1994, John Hay repurchased his now illustrious cave. 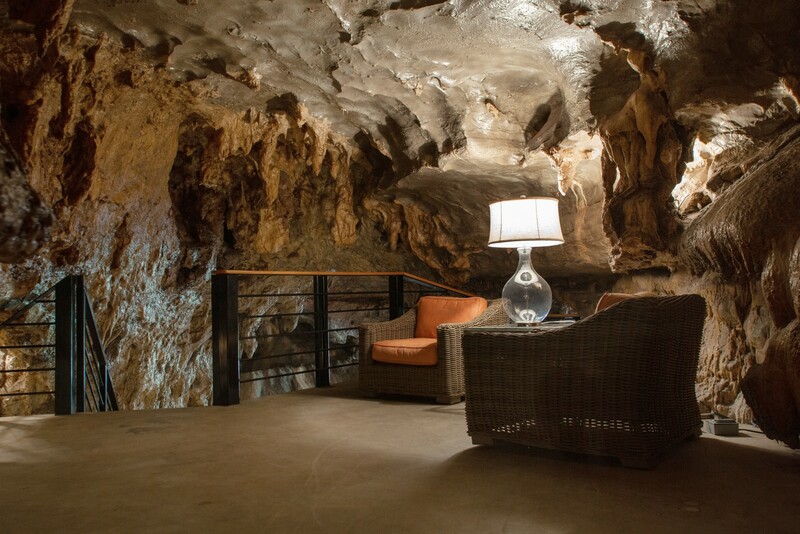 In the decades following, several new owners have taken hold of the 257-acre property, each one undoubtedly in awe of the great room’s 40-foot rock ceilings and 2,300 square feet. 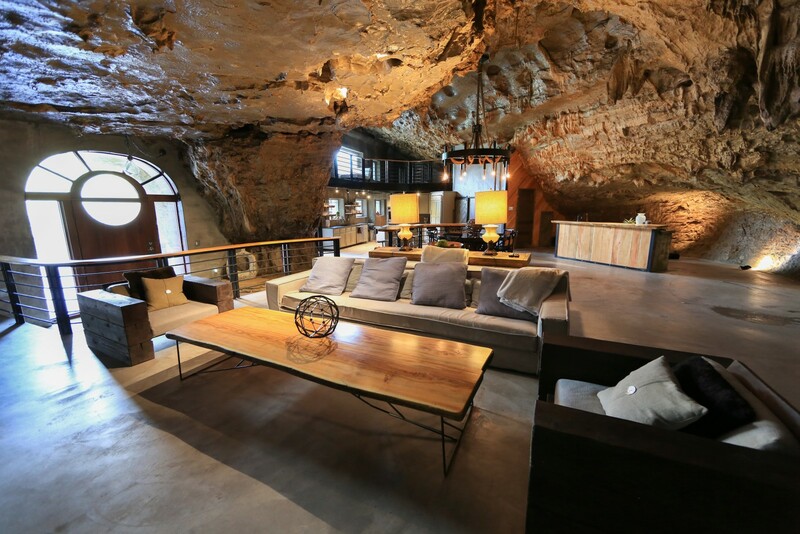 Stalactites descend from overhead throughout the 5,572-square-foot home, and raw rock has been used wherever possible to maintain the unique character of the space. The bad news – every dream home comes with its own downfalls, after all – is that a few of the stalactites drip. However, the whole property is climate-controlled thanks to geothermal units throughout. 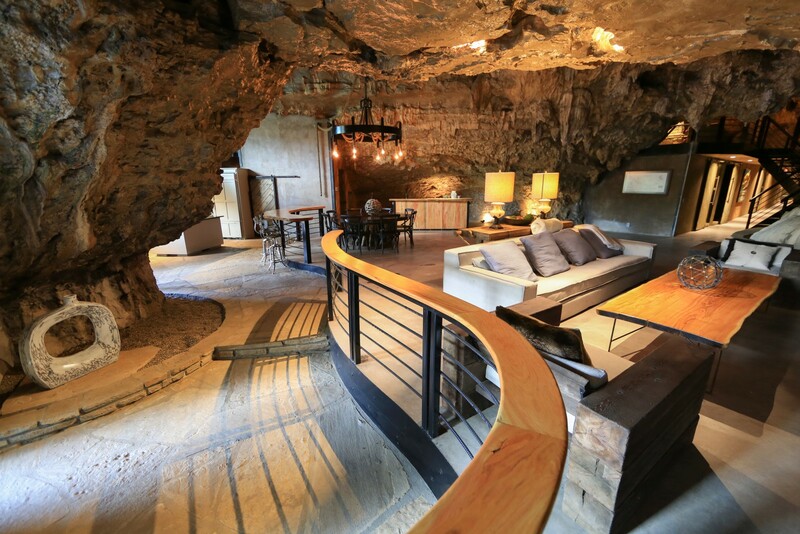 The 4-bed, 4-bath cave home will run its next owners somewhere around $2.75 million. 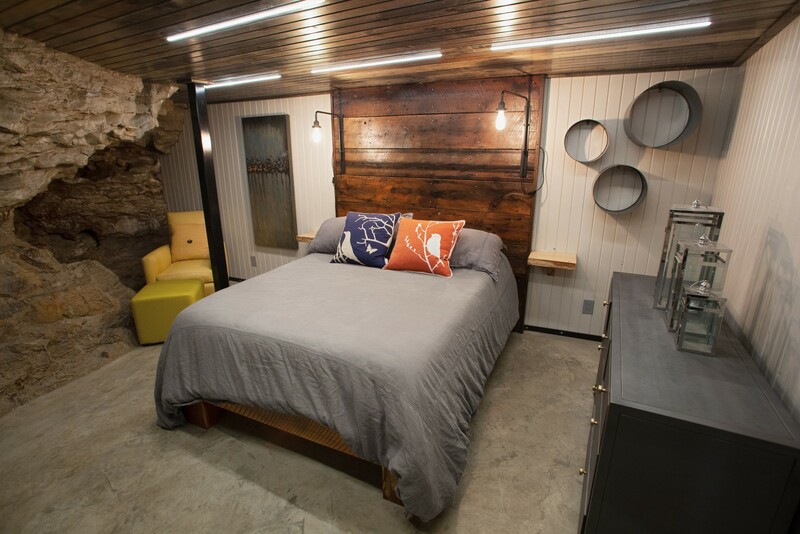 And while it doesn’t have those coveted hardwood floors or the clawfoot tub that fantasies are made of, we still consider this incredibly cool residence to be a real gem.